What else do you do with a spare MUNNY head? 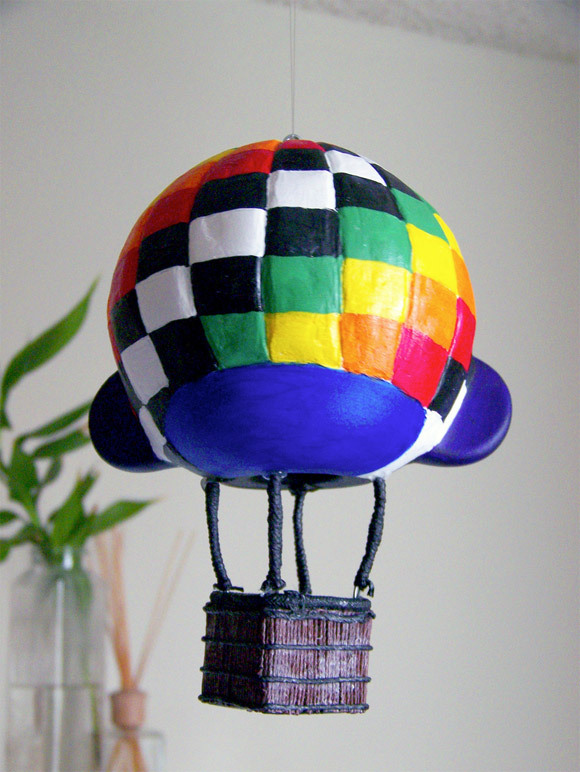 You make a hot air balloon with it. At least that’s what Sydnee Davidson aka sillysid has done for her latest creative custom. Enjoy these works-in-progress shots showing you the steps Sydney followed to create this cute one of a kind MUNNY. Get your hands on a new MUNNYWORLD character, customize it and upload it to our MUNNYWORLD Flickr group to show the world! Every Wednesday, we randomly award a MUNNYWORLD figure to a lucky toymaker and feature it on the KRonikle! So get your MUNNYWORLD and get to customizing. You can do anything you want! Don’t forget, tomorrow is the worldwide release of the 2 newest additions to the MUNNYWORLD family: FOOMI & KRACKA. We got some huge plans for these two, so stay tuned. 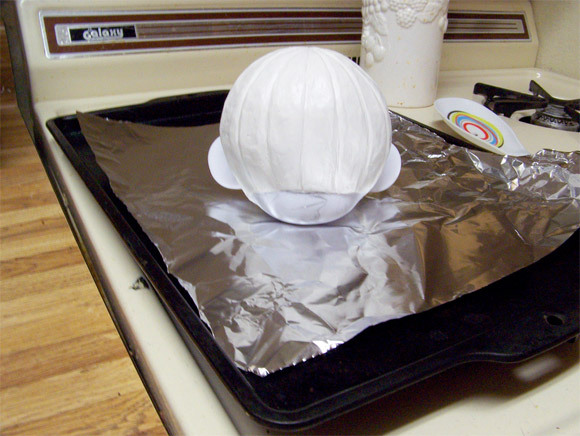 Step 1: Used Sclupey to make the grooves of the balloon panels, and baked the head to harden the clay. 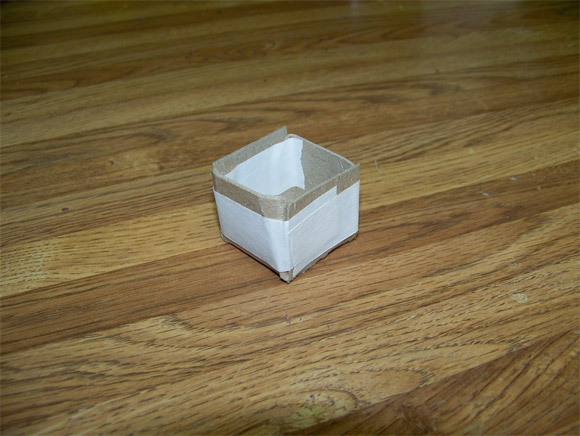 Step 2: Made the basket out of chip board and tape. 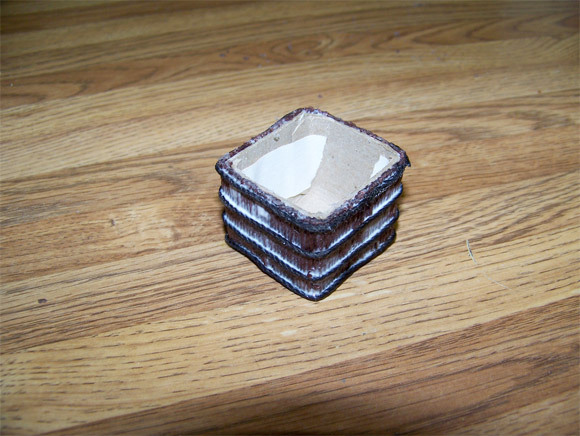 Step 3: Glue strips of brown jewelry string vertically along the outside of the basket. 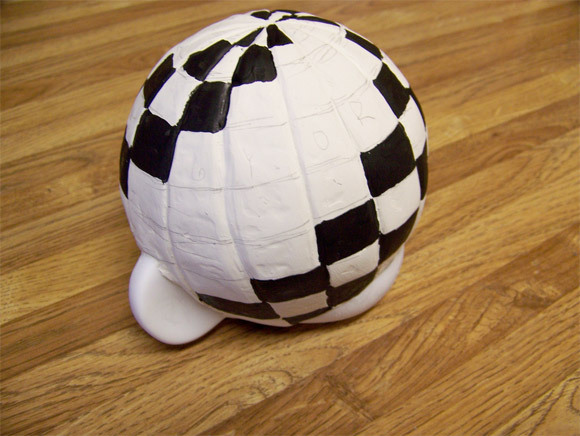 Step 4: Drew the pattern of the checker squares on the head, then painted. 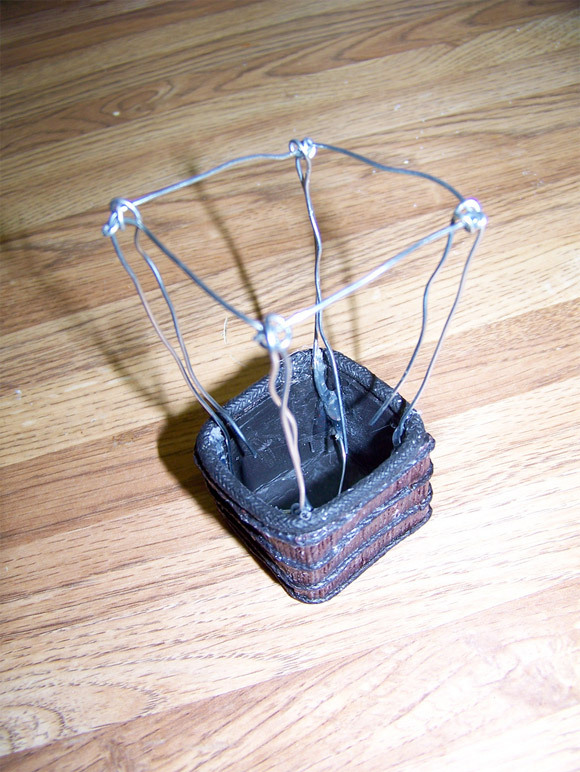 Step 5: Used hot glue and wire to create the frame of the basket to fasten to the head. Then wrapped the wire in more brown jewelry string. Then hot glued the frame to the bottom of the head.